Photos kindly supplied by 'Teddy'. 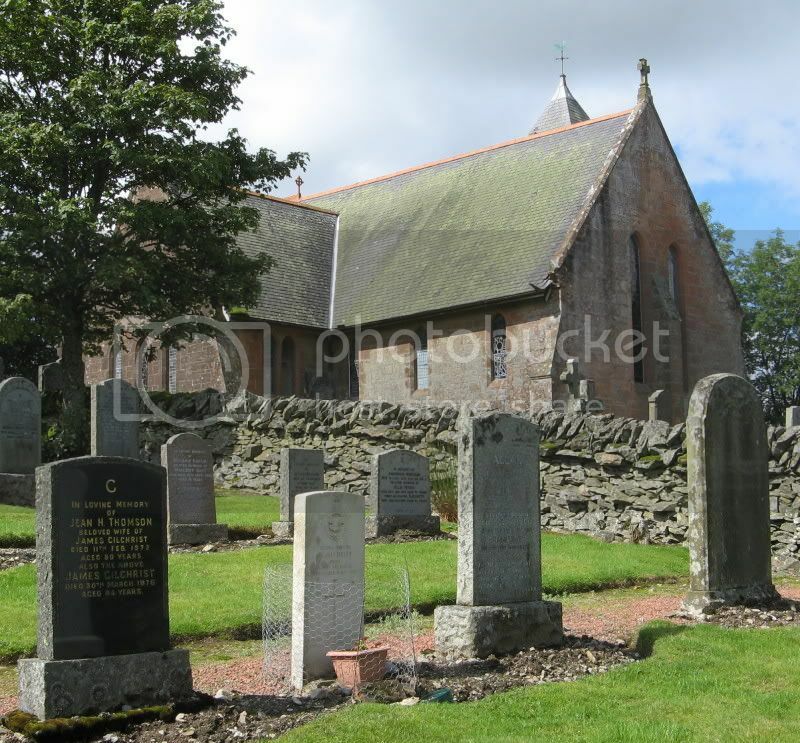 Additional information: Son of James Gilchrist and of Jean Hunter Gilchrist (nee Thomson), of Crawford. Photo kindly supplied by 'Teddy'. 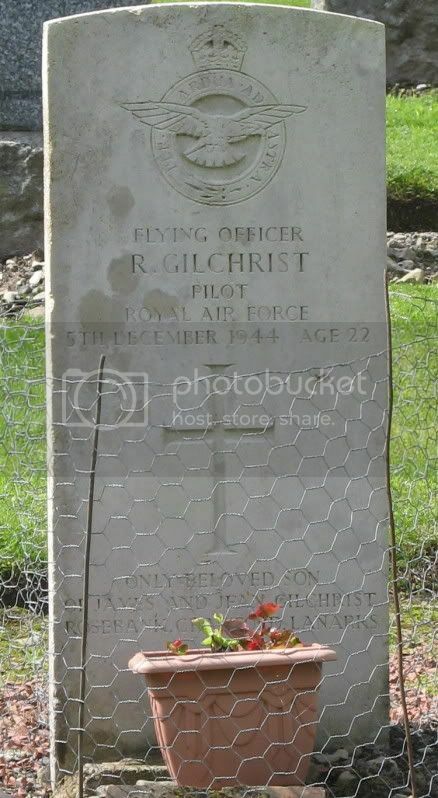 The above photo shows Robert Gilchrist's grave next to that of his parents. The Church and Churchyard are 'over the dyke', so perhaps the CWGC reference to him being buried in the Churchyard should be the Cemetery? 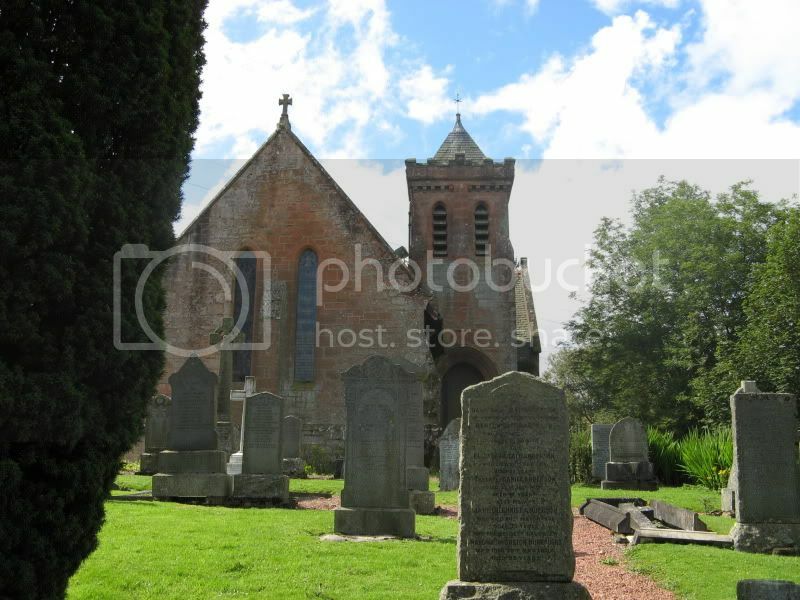 Or maybe this particular part was a Churchyard 'Extension'? Photos kindly supplied by John Kennedy. 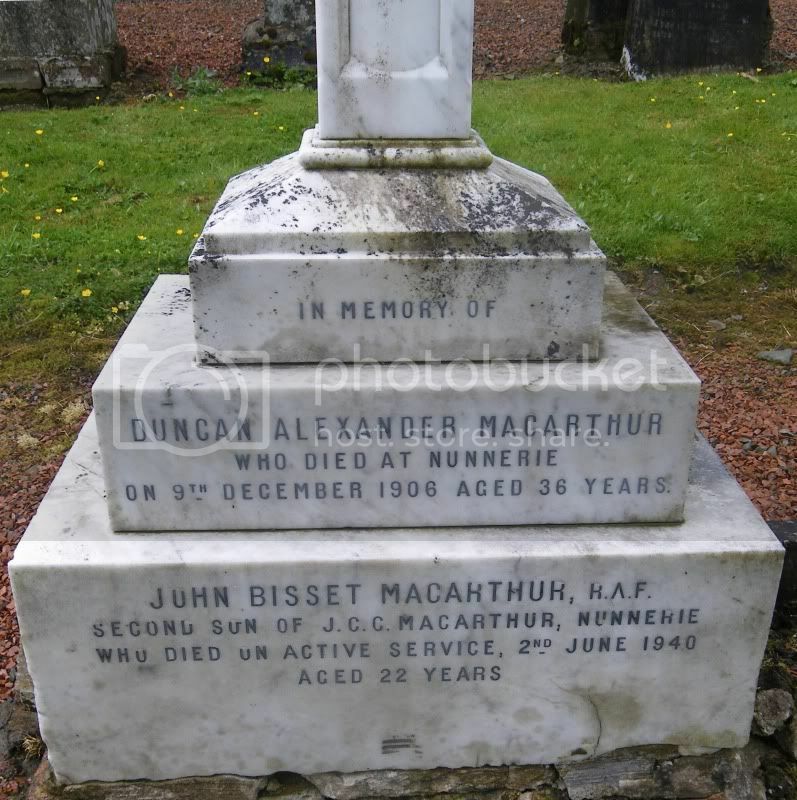 Additional information: Son of James Colin Campbell MacArthur and of Bessie Jane Bird MacArthur (nee Bisset), of Elvanfoot. Additional information: Son of J. C. C. and Bessie J. 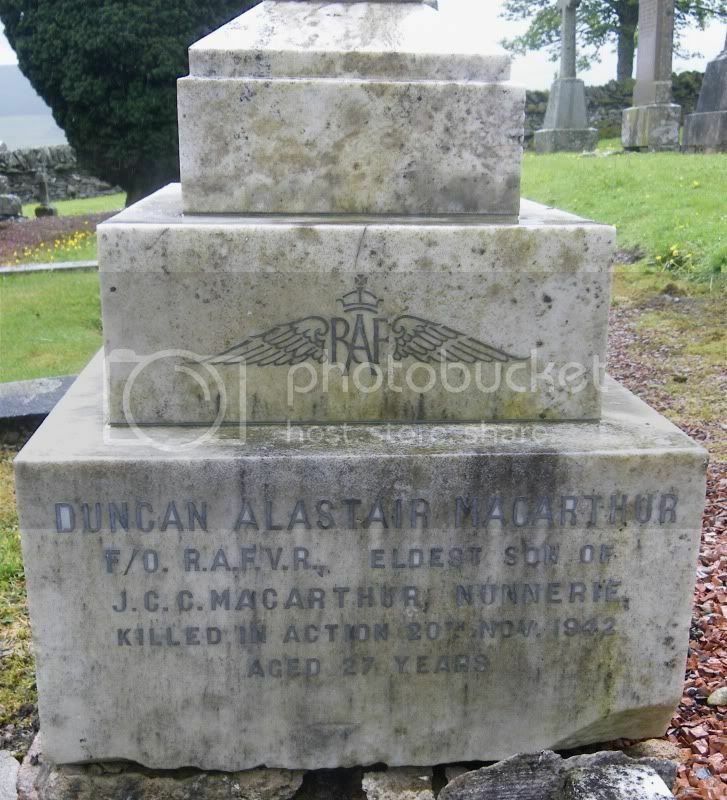 B. MacArthur, of Elvanfoot, Lanarkshire. Grave/Memorial Reference: Panel 3, Column 1. Unit Text: 465th Agricultural Coy. 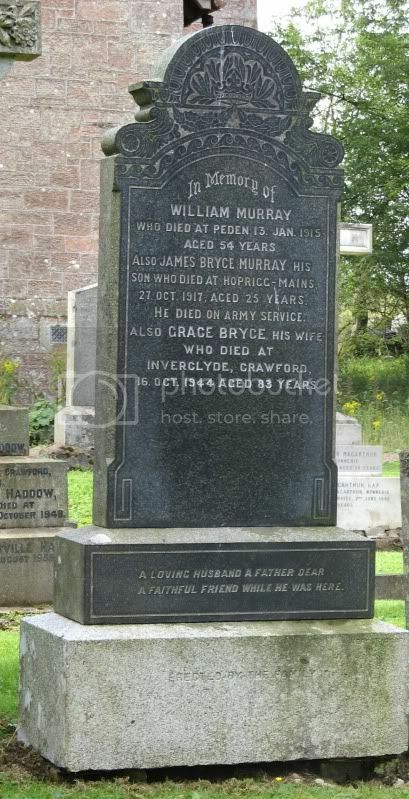 Additional information: Son of William and Grace Murray, of Inverclyde, Crawford, Abington, Lanarkshire. 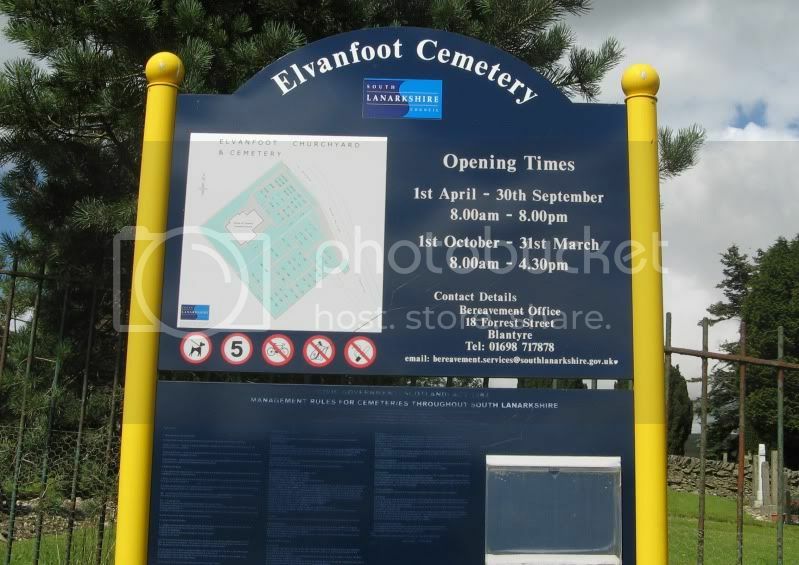 Born at Elvanfoot, Abington.